August 30, 2018 – Break out your favorite sweater and take in fall, New York City’s coziest season. Feel the leaves crunch beneath your shoes on a leisurely stroll along tree-lined streets or through one of the many city parks. 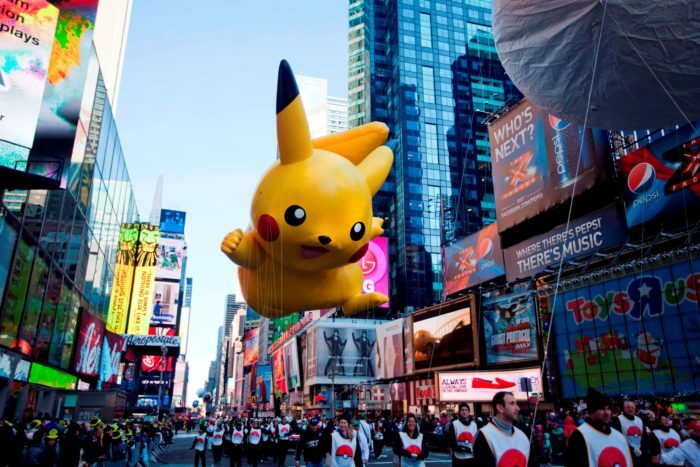 Find a welcoming wine bar, catch the start of hockey and basketball season at the local arenas or make it your business to watch a few of the world’s more spectacular processions: the Village Halloween Parade, the Thanksgiving Day Parade and the New York City Marathon all take place during autumn. Fashion Week returns to New York City in September, showcasing looks for the upcoming spring/summer season. Hundreds of thousands of industry insiders will descend upon the City for seven days of shows and presentations by some of the world’s most sought-after designers. Score an invite, and you’ll be able to see the latest runway looks from the likes of Alexander Wang, Oscar de la Renta, Rag & Bone, and Ralph Lauren. Meanwhile, emerging designers show downtown at MADE Fashion Week. Authors and bibliophiles from all over the world congregate for panel discussions and themed readings at one of the City’s largest free literary events. The festival also includes a “Literary Marketplace” showcasing wares from publishers, independent bookstores and nonprofit organizations. A special children’s day takes place during the week, as well. Since 1963, the New York Film Festival has showcased the latest work from the world’s most esteemed filmmakers—the likes of Martin Scorsese, Pedro Almodóvar and Alain Resnais, to name just a few—and has introduced some of the most innovative new voices in cinema to New York City audiences. Organized by the Film Society of Lincoln Center, the festival presents classics, a full slate of documentaries and full-length features, and other special events. Among New York City’s architects and building buffs, October is Archtober—or Architecture and Design Month. For 31 days, the City’s design community opens its doors for more than 100 tours, lectures, films, and celebrations, offering behind-the-scenes peeks at the buildings that give this metropolis its distinct character. Participants include the Museum of Modern Art, Cooper Hewitt, the Guggenheim, the AIANY and its Center for Architecture, Central Park Conservancy and the National September 11 Memorial & Museum. Officially inaugurated in 1983 (though it ran in a looser form the two previous autumns), BAM’s annual Next Wave Festival serves as New York City’s most comprehensive and daring survey of avant-garde music, theater, opera and dance. This year’s performances include acrobatic circus acts from Australian troupe Circa, choreography from Trisha Brown Dance Company, a contemporary staging of Shakespeare’s Measure for Measure and Mark Morris’s playful reimagining of The Nutcracker called The Hard Nut. There’s also a number of talks, films, operatic performances and much more. With geek culture having established an undeniable influence over mainstream entertainment, New York Comic Con has become a major annual event—drawing more than 180,000 aficionados of comics, graphic novels, anime, manga, video games, toys, movies and television from around the world. Big names show up for signings, screenings, and panels. With a multitude of cosplayers (costumed participants dressed like fictional characters) roaming the Javits Center, you’ll find yourself gawking at Spider-Man, Wonder Woman, Boba Fett and many others making small talk in the aisles. This annual festival gathers together the biggest and most exciting names in fiction, journalism, poetry, graphic novels, screenwriting, directing and all-around culture-making for a weekend of panel discussions, readings, film screenings, musical performances, walking tours and food tastings. Past celebrity participants have included Jerry Seinfeld, Chelsea Manning, Ava DuVernay, Glenn Close and Ai Weiwei. Visit the website for updates on what to expect for this year’s installment. NYCWFF returns for another food-and-beverage-filled few days, featuring Food Network personalities like Rachael Ray and Anne Burrell as well as a deep squad of local all-star chefs, restaurateurs, and purveyors. Events include the competitive Blue Moon Burger Bash, a master sushi class with Masaharu Morimoto and Duff Goldman’s Family Ice Cream Fun-dae—just a few of the hundred or so happenings at venues all around the City, with the home base once again at Piers 92 and 94. Proceeds from the festival benefit the Food Bank for New York City and No Kid Hungry. 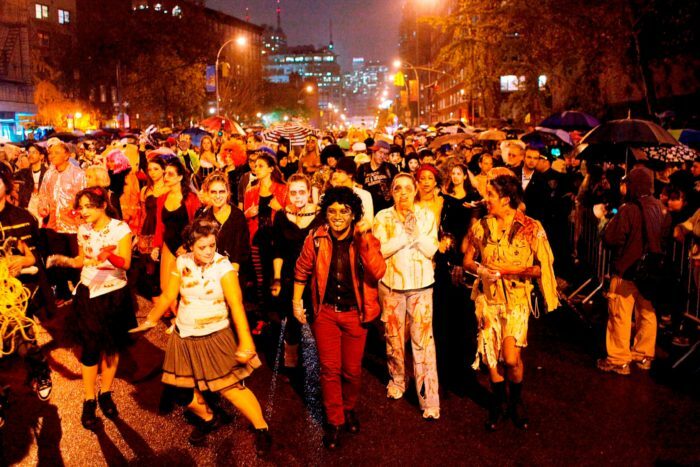 Every year, 50,000 folks parade up Sixth Avenue—decked out in some of the City’s scariest, most inventive and most hilarious costumes—while numerous live bands complement the ghoulish revelry. Show up with a creative costume of your own and join the parade (but note that a costume is a must to march! ), or stick to your civvies and take in the spectacle from the sidelines. Marchers line up on Sixth Avenue between Canal and Spring Streets. The parade gets rolling at 7 pm and heads north up Sixth Avenue to 16th Street. This is the big one—an athletic event that often proves to be as much a life-changing experience as a physical challenge. Like all marathons, the NYC race covers 26.2 miles from start to finish—but no other city offers competitors the sights, sounds and sheer excitement of the New York City Marathon, which starts in Staten Island and wends its way through all five boroughs on its way to the finish line in Central Park (adjacent to Tavern on the Green). Close to 50,000 people will run; millions will watch. The week of the race brings a lot of other related events, including the Abbott Dash to the Finish Line 5K, the TCS NYC Marathon Expo and the TCS NYC Marathon Pavilion at Tavern on the Green. Registration for the race is open from January 15 through February 15. For more info, visit tcsnycmarathon.org. The New York Comedy Festival brings dozens of internationally acclaimed stand-up and sketch comedians—including Conan O’Brien, Bill Burr, Anthony Jeselnik, Tracy Morgan and Yvonne Orji—to venues across the City.